A lot has been happening with the characters of Ekta Kapoor's popular show Kasautii Zindagii Kay 2 and now the rumour is that Miss Earth India 2016 finalist will enter show. Looks like after Hina Khan aka Komolika, another actress has bid adieu to popular show Kasautii Zindagii Kay 2. Priyal Mahajan, who played the role of Tapur Basu aka Anurag and Nivedita's sister on the show, will reportedly get replaced on the show. Before Priyal, the role of Tapur was essayed by Upasana Salunke. According to a Tellychakkar report, model and actress Aastha Abhay, who is Miss Earth India 2016 Finalist, has apparently replaced Priyal as the new Tapur. However, the reason for replacing Priyal is yet to be known. Meanwhile, Namik Paul, who was supposed to enter Ekta Kapoor's Kasautii Zindagii Kay 2 in an important role, opted out of the show despite having signed the papers. Apparently, after a lot of discussions, the makers decided to rope in Namik as the male lead in Ekta's supernatural show Kavach 2 rather than him entering Kasautii Zindagii Kay 2 in a key role. 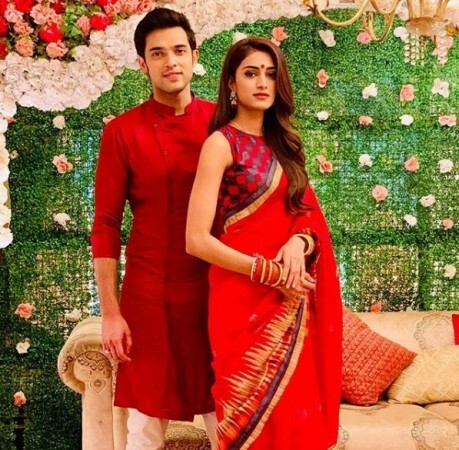 In other news, rumours are rife that Kasautii Zindagii Kay 2 stars Erica Fernandes and Parth Samthaan, who play the roles of Prerna and Anurag, are dating in real life. Apparently, a lot has been brewing up between the alleged lovebirds. The couple is going strong and is spending more time together than usual. A source told SpotboyE that Parth and Erica often arrive together on sets and also wait for one another to have afternoon and evening meals together. Not just that, they often leave the sets together as well. While there were speculations about Parth and Erica's closeness earlier, it intensified when Hina, wasn't invited for Parth's birthday. It should be recalled that Erica and Hina are not the best of friends on the sets and it was also confirmed by Hina later.